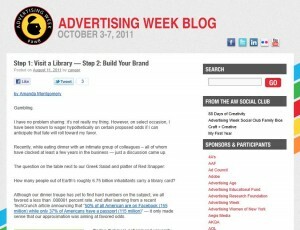 Our SMD staffer Amanda Montgomery was invited to the 2001 Advertising Week Conference, here’s a post she wrote up for them. Click here or on the screenshot below to read the entire post! Next StoryDoes Your Business Need Google+?